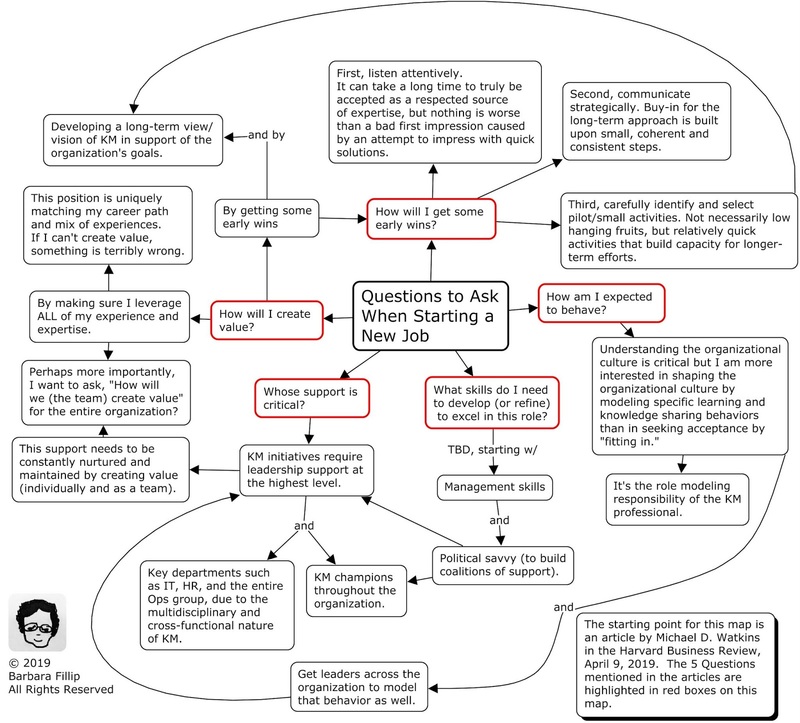 There was a very timely article by Michael Watkins in the Harvard Business Review a few days ago titled "Questions to Ask When Starting a New Job." 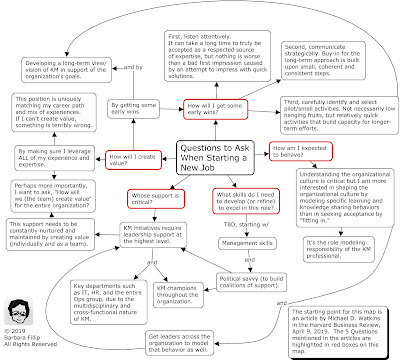 I decided to spend some time with the five key questions mentioned in the article and apply them to my context, which of course, turned into a map. I have not yet started this job. Therefore I anticipate that the map should evolve. In fact, I have a long list of questions ready to be asked and my plan is to continuously come up with new questions to feed a very hungry continuous learning plan. If you've been here before, you know the drill, you can't read the map unless you open it in a different window. Click on the map and the magic will happen. And I should revisit maps 28 and 29 which offered two visual approaches to "First 100-days on the job: Map Your Experience, Optimize Your Learning."